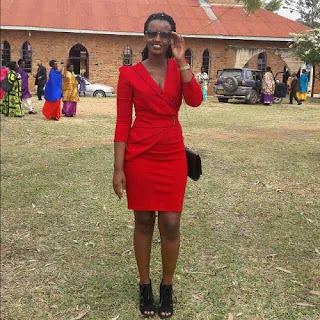 28-year-old Brian Bagyenda, who is also the son of Uganda's new director of Internal Security Organisation, Col Frank Bagyenda aka Kaka, has been charged with the murder of his 22-year-old girlfriend, Enid Twijukye, in what is considered to be biggest security bother for Uganda Police, the Judiciary and Uganda’s spy networks. However, the family of the deceased disclosed that the suspect is no longer in custody, and that his father is likely to use his influence to tamper justice. “We have been told that Police officers are too scared to comment or even handle the matter because it involves their boss (new ISO boss Kaka), and we are getting worried that we may get a doctored postmortem report,” a source told the ugandan.